The magic of Orlando, Florida is enchanting. As you step into the world of make believe in Disney World where fairies fly free, or Universal Studios where super heroes become real, you discover a place where you can quite literally find yourself and lose yourself at the same time. It’s a fantasy world where all sorrows and problems are forgotten, as time stands still, just as in the classic tale of Alice in Wonderland. The imagination and creativity of individuals come alive for entertainment purposes and family fun. 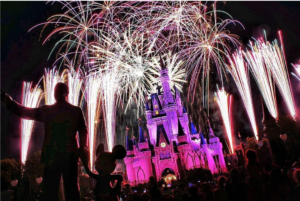 Many talented people are scouted universally to create this magnificent world, and now they have developed opportunities to go behind the scenes for those who want to learn more about it, and partake in the Orlando entertainment experience. Dancers, actors, musicians and artists, are all welcome! Dance Around the World is a full service organisation specifically tailored to meet the growing demands that dancers have for traveling abroad to destinations such as to Orlando, Florida. From the initial consultation, to preparing audition requirements, performances, competitions, and registration for workshops, to booking flights, hotels and cruises, the trip is all inclusive excursion for dancers and their families. Dance Around the World also provides a personal Tour Director for each trip to ensure that the dancers get where they need to be to learn, perform and partake in Orlando’s amazing dance scene with no barriers, hassles or worries. Non-dancers and family members are also cared and provided for so they may enjoy the trip to Orlando, as well. 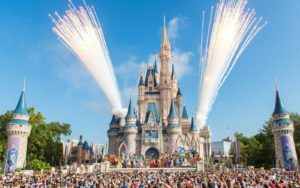 Tours and sightseeing excursions through Florida are also offered to such locations as: Disney Theme Parks – Animal Kingdom, EPCOT, Walt Disney Studios, Magic Kingdom, Typhoon Lagoon and Blizzard Beach, Universal Studios, Sea World, Disney Character Breakfast, Premium Factory Shopping Outlets, Kennedy Space Centre or an evening to a sporting event. Florida is also known to have some of the most amazing beaches in the world. As a peninsula, the state is surrounded by water on three sides, and has more beaches to offer than any other place in the United States. Pack up the dancers and the family and head to one of the most magical places on Earth where entertainment and performance are the norm, parades are nightly, and fireworks are as common as the moon. Orlando, Florida is definitely a place to consider when planning to dance around the world! Next PostNext Hong Kong Dance Tours on offer!